Would you believe that we’re starting out 2013 with the same resolution as everyone else out there, likely? That’s right — the Faulks have resolved to get back in shape. Wait, though. Haven’t we been in shape all through 2012? Maybe. But honestly? We’ve had a hard time of it lately with our running. 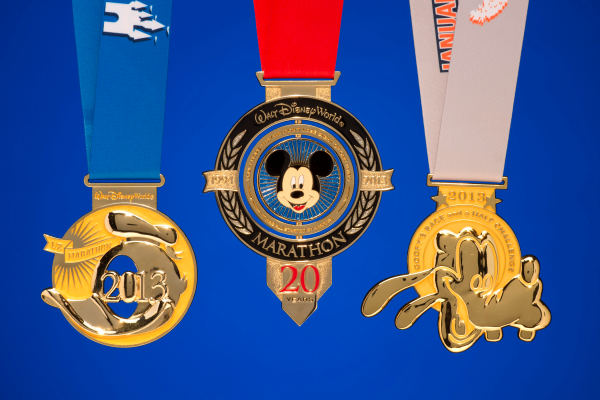 We’ve been planning on making our Walt Disney World marathon weekend a 39.3 mile weekend — a half marathon (the Donald race) on Saturday, then a full marathon (the Mickey race) on Sunday. The two races combined make up the Goofy Challenge, and we were gung ho about it… you know, back before we stopped training entirely. We resolved that we were just going to run the full marathon and count the Donald and Goofy as a loss. A very necessary loss. Then, I started training again a couple of weeks ago, and after a run that was so hot it felt like August instead of December (for real! ), I concluded that I’d just do the half marathon and forget about the big race. But Wes, who has been wavering in this with me, suggested that we go ahead and get right back to our training schedule, hitting the high miles on the weekend like we had been doing them faithfully all along. I was pretty sure I was going to die before we started a twelve mile run last week… and was surprised when I didn’t! I credit the weather change with this entirely. And the next morning, after running the twelve miles with no trouble and no pain afterwards? I concluded that I could probably run a full marathon that very same day. So, all that said, we’re doing both races. I only mention it so that you’ll remember to pray for us in as we will no doubt be crawling across the finish line in thirteen days, after doing both races. It will be worth it, though, when we come back with all THREE medals! Here’s hoping that happens!